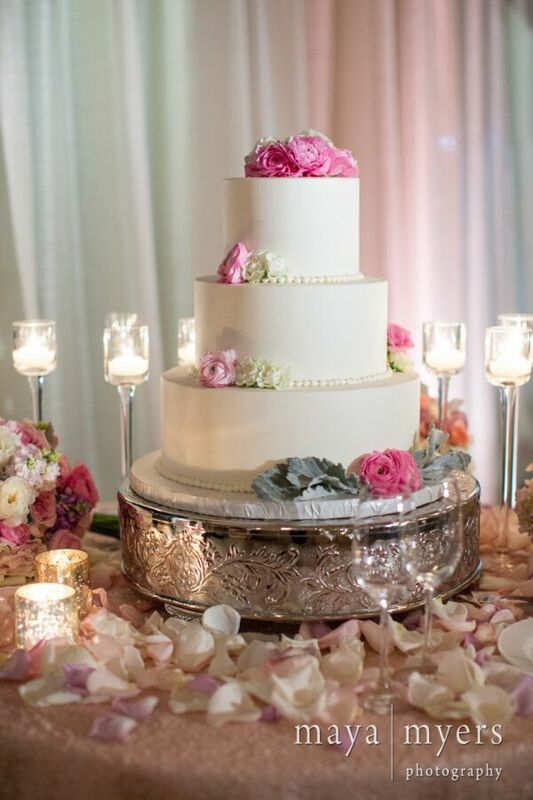 Does it get any prettier than a wedding cake covered in gorgeous flowers? We don’t think so! 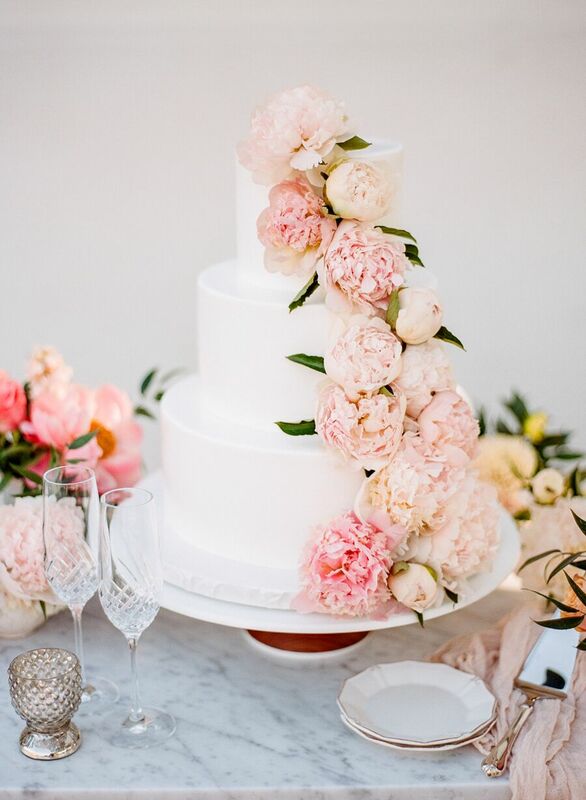 Wow your guests with a cake that is almost too pretty to eat, by bringing a fresh feel to your design with beautiful blooms! 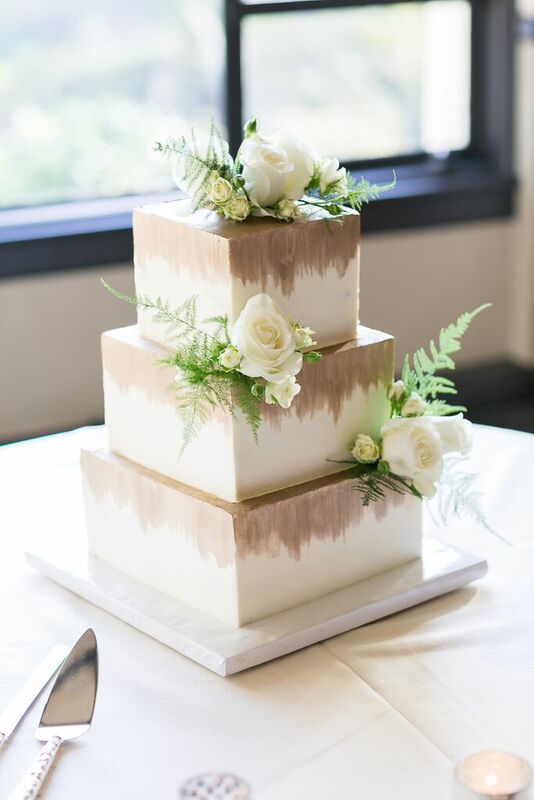 If you are as big of a flower lover as we are, than you will want to take a peek at these 10 awe-inspiring wedding cakes. 1. Bright and summery cascade. 3. Bold yet simple flower accents. 4. Twisted and delicate flower cascade with honey combs. 5. 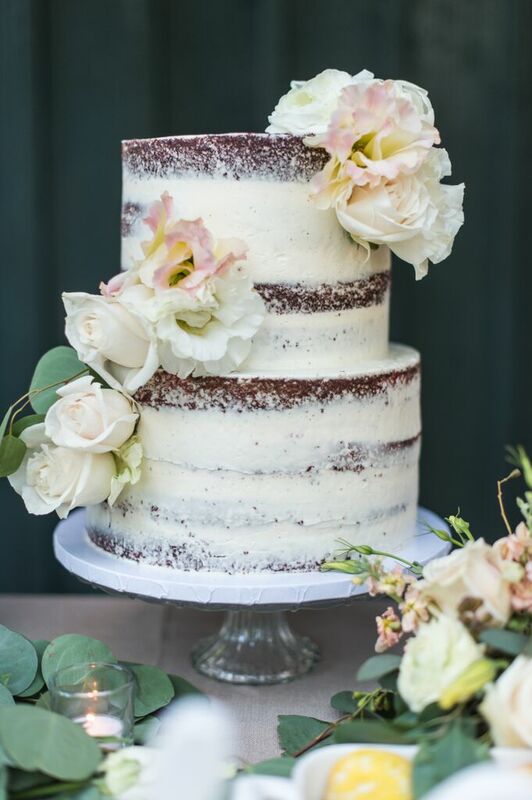 Naked cake with a side of neutral blooms. 6. 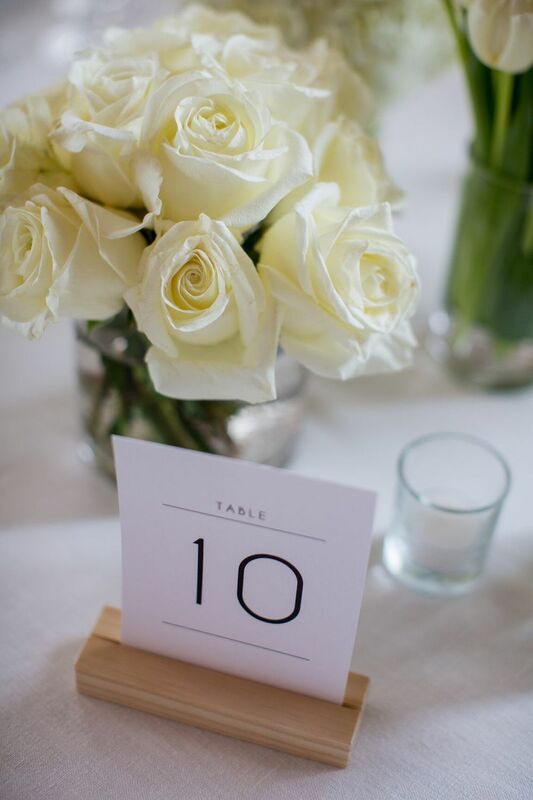 Modern painted tiers with elegant white roses. 7. Studded with pops of pink. 8. A grand all-white cascade. 9. Soft pink cascade with matching skirt. 10. White rose topper with a baby’s-breath skirt. Which is your favorite? Let us know over on our Instagram. 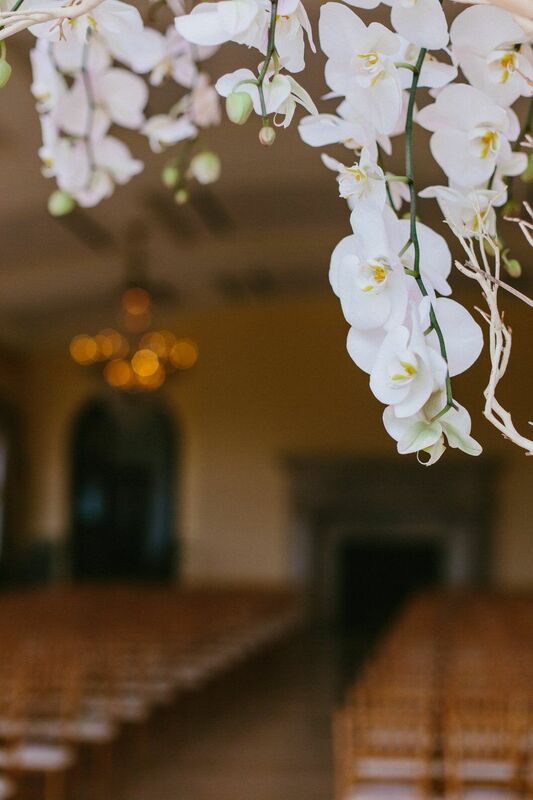 We love being a part of styled shoots, as it allows us to create simply beautiful designs in a collaborative way. 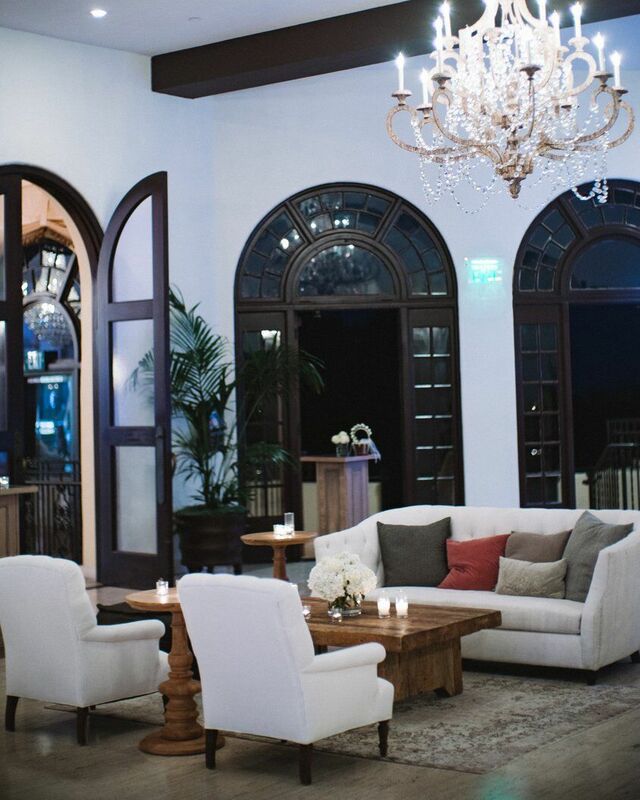 Triunfo Creek Vineyards’ scenic backdrop perfectly complimented our elevated rustic design. 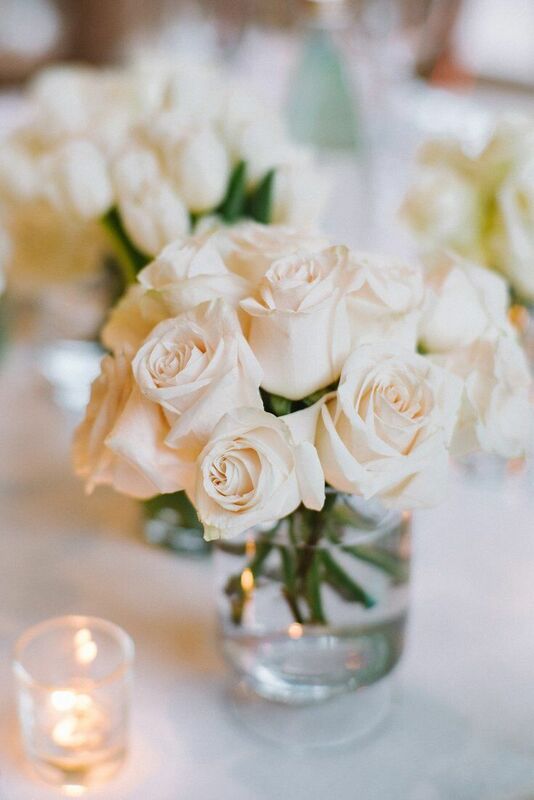 From the white flowers and greenery to the unique wooden tables and decor, this shoot created an impeccable setting for an outdoor affair. Take a look below at this one-of-a-kind styled shoot, and get inspired! 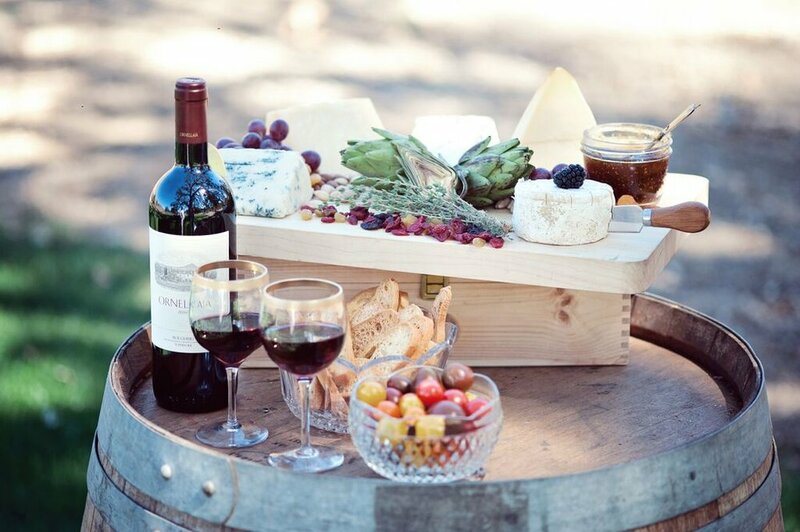 Located on a stunning 52-acre Santa Ynez ranch, Sunstone Winery is a one of a kind estate and vineyard. This destination winery has beautiful architectural elements and rolling lawns, acting as the perfect blank—and rustic—canvas for any event. 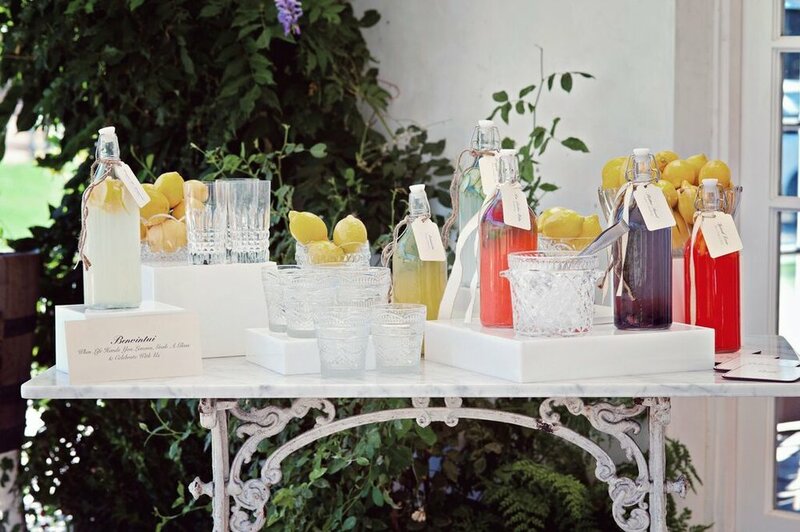 And in this instance, Sunstone served as the perfect choice for an outdoor summertime soiree! The property is filled with majestic oak trees, creating an aura of simplicity and appreciation for nature. 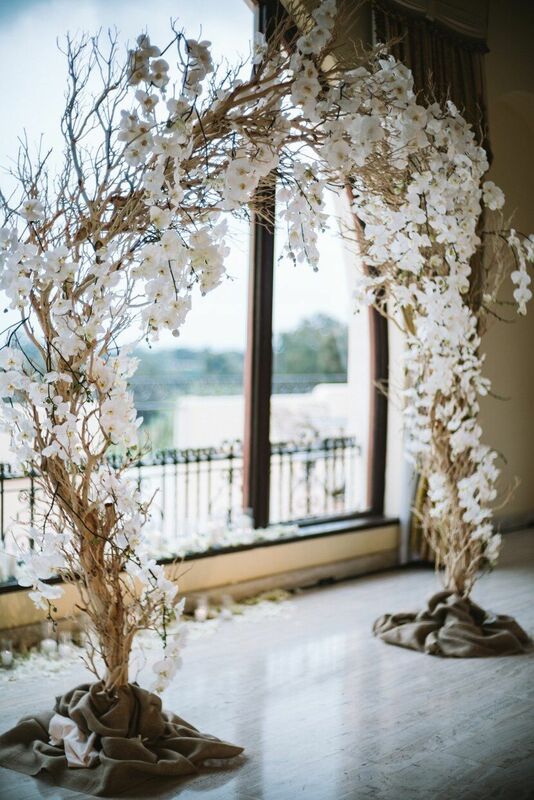 With this in mind, the floral design for this event was rooted in a fresh from the garden aesthetic. 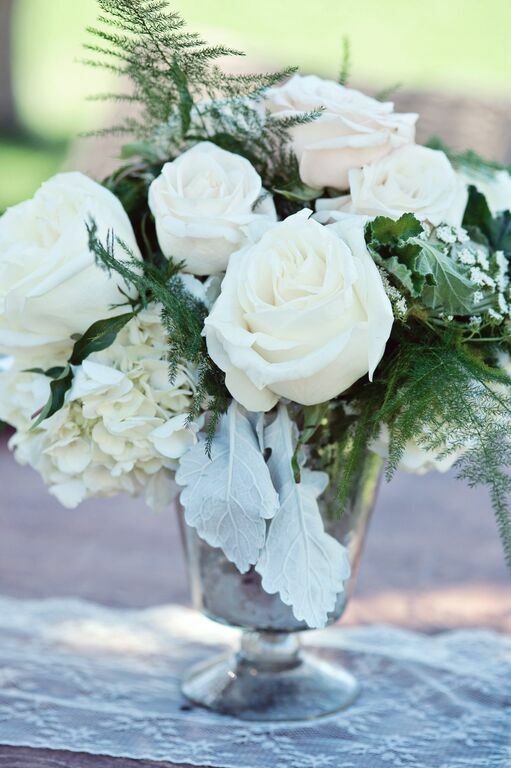 Lush white florals were complimented with pops of muted greenery and accented with fresh sprigs. In any garden-inspired floral design, it’s important to add layers and texture, which we accomplished through the abundant use of greenery. 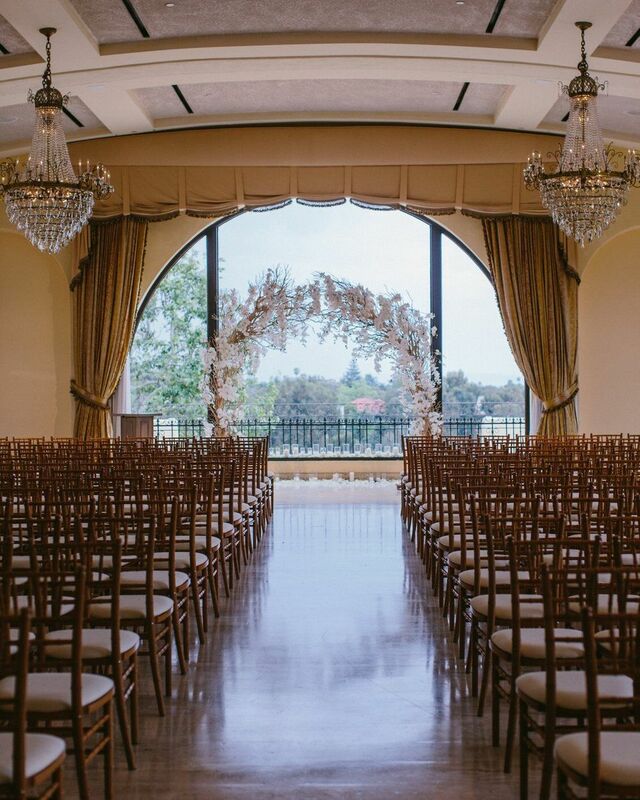 These arrangements mirrored the natural vineyard elements surrounding the villa. Centering on nature and rustic charm, this summertime soiree was the perfect compliment to Sunstone Winery. 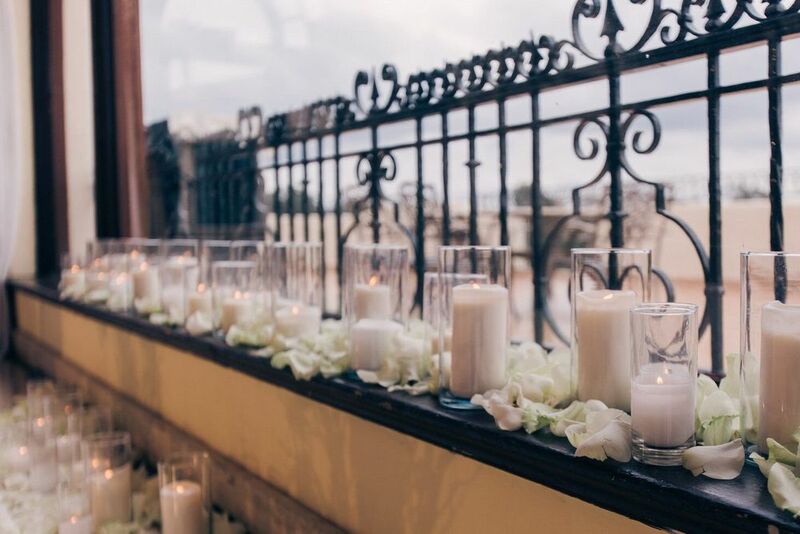 EDE by Jacqueline designed a breathtaking space; from the linens, to the menus, to the detailing on the plates, the event was full of charm and character.